Is Half and Half Equivalent to Equal Parts of Milk and Cream? In Overheard, we're sharing all of the best tidbits we couldn't help picking up on -- from smart tips on the Hotline to funny quotes heard around the water cooler and more -- so we can all be in the know. For more of our community's brilliance, head to the Hotline -- or ask a question of your own! i don't understand this... the question was could you substitute half and half for milk and cream in a recipe... and your answer is to use cream and milk... therefore not providing a substitute? Seriously?? I'm not saying you are wrong... but in Canada this isn't the case. Hi QwertyJuan, you're right, if a recipe calls for equal amounts of skim milk and cream, as your example shows, half and half could be a great substitution. But oftentimes a recipe calling for cream is going to be calling for whole milk, not skim, arguably making hardlikearmour's ratio a better substitution. 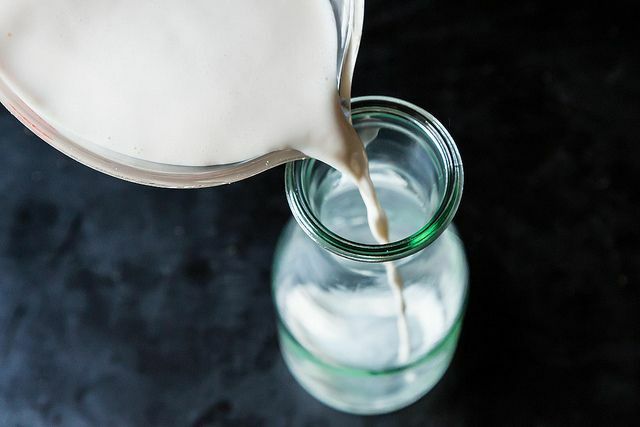 Plus, milk fat content of half and half can vary a lot, so it's not an exact science either way! Make that "making hardlikearmour’s ratio a better approximation of half and half" not a better substitution.